Poole Harbour Festival’s unique blend of street food from around the world and live music struck a chord with locals and visitors last year, prompting the organisers Immense Events to add an extra day of attractions to the line up. 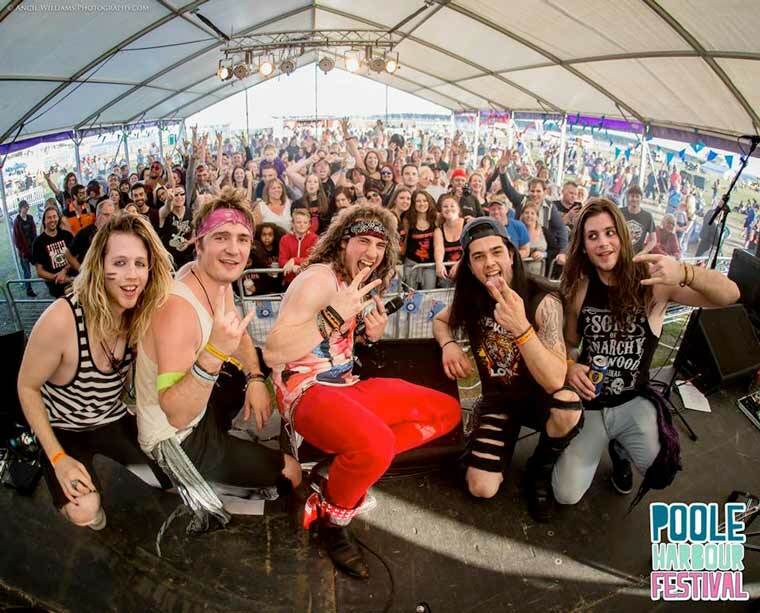 The three-day fun fest at Harbourside Park in Poole will offer a full weekend’s entertainment for all the family with top tribute acts as well as the best local bands. Also on the menu is a mouth-watering array of artisan-produced international street foods with more than 40 stalls offering world foods, local produce and artisan craft. “We wanted to do something the whole family can enjoy together, that doesn’t finish too late but gives everyone a great day and a fun-packed night out,” says Poole Harbour Festival organiser Ben Dyas. Children can enjoy Ikle Eskimos giant igloo, which is home to free children’s entertainment with Mr Merlin and Okey Dokey Dragon, crafts, circus skills and a kids’ disco; while outside superstars like Peppa Pig and Elsa from Frozen will be on hand to meet the festival’s youngest revellers. The live music programme gets underway around lunchtime each day and will run on two stages until 10pm on Friday and Saturday and 6pm on Sunday. Topping the main stage are critically acclaimed tribute bands Coldplace, The Rollin’ Clones, The Fillers, Tania Alboni’s astonishing Amy Winehouse show and the Ed Sheeran Experience starring the remarkable Jack Shepherd. Plus some amazing local bands, such as Saint of Sin and Remedy Sounds, with added guest performance from Steve Brookstein, X Factor’s first winner in 2004. There’s also stunning original music from Sian Evans, the voice of top ten band Kosheen and also who sang on the massive DJ Fresh hit ‘Louder’ and wrote Rita Ora’s chart topper ‘Hot Right Now’. She’ll be showcasing music from her latest project as well as revisiting her stellar back catalogue. Star attractions on the Harry Rocks stage are the Ouse Valley Singles Club whose 21st century take on skiffle and early rock ‘’n’ roll is winning them many admirers. They’ll be in good company with local heroes from Jimmy Pithe and BB3 to The New Beats and the mesmerising Mischa & His Merry Men whose 25 members muster some 18 instruments and 60-odd line-up combinations. Entry charges apply, under 5s free. To book please visit www.pooleharbourfestival.com.